Gianni Infantino is set to serve a second term as Fifa president after being the only candidate entered in June's election. The 48-year-old succeeded Sepp Blatter as the head of world football's governing body in February 2016. The election will take place on 5 June in Paris before the women's World Cup, which starts two days later in France. Vega, 47, needed the backing of five of Fifa's 211 member federations. 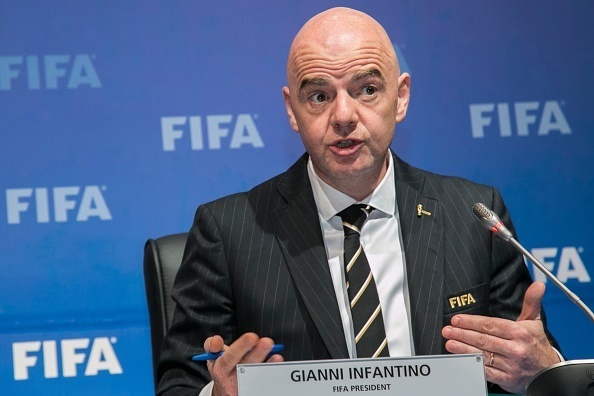 Infantino has introduced plans to increase the World Cup from 32 teams to 48 from 2026.He has also proposed bringing the expansion forward to the 2022 World Cup in Qatar, with a decision on the idea expected when a feasibility study has been conducted.